Product prices and availability are accurate as of 2019-04-18 21:33:35 UTC and are subject to change. Any price and availability information displayed on http://www.amazon.com/ at the time of purchase will apply to the purchase of this product. The Basil Big Bell Polkadot is a classic looking Dutch ding dong bicycle bell with a Fifties inspired white and red polkadot pattern. This bell has a loud and very clear Ding Dong sound that is sure to let anyone know you are there. 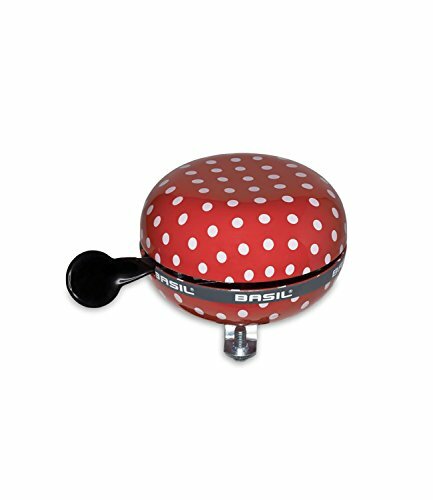 It has a diameter of 80mm so is large enough to make a statement and fits onto the bike using a secure aluminum clasp and 2 stainless steel bolts. Designed in the Netherlands.